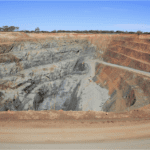 Many Australian mining companies and contractors have moved to Pit Bull hose reels for their rugged construction and user safety. Pit Bull hose reels can be optioned with outstanding, easy to bolt on accessories to make them even safer and more productive when operating in rough environments, with the added benefits of long-life galvanised construction. 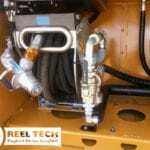 Australia-based manufacturer Reel Tech’s core focus is on the ease of use and handling safety. Ezy-Deploy is an auto declutching system. 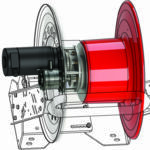 With no levers, buttons or electronics required, operators can simply pull and go with the lowest resistance. The Ezy-Deploy clutch system offers smooth hose reel operation to minimise operator strain injuries and reduce excessive force that can prematurely damage equipment. To improve productivity, Reel Tech offers Reel-In-Control, the long-range wireless-remote-control system. With adaptive frequency hopping, it prevents interference and offers reliable performance across undulating terrain. In single driver/operator set-ups, Reel-In-Control allows for safer and simpler one-person hose handling. Eliminate dual handling and get the job done faster with single operations in mind. 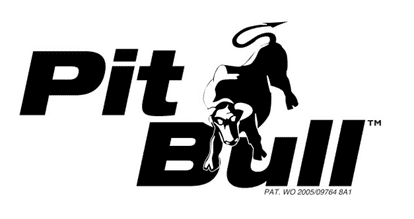 Most Pit Bull hose reels come with the integrated auto speed rewind system, Safe-R-Reel. It helps minimise the chance of employee and equipment damage due to excessive hose ‘speed whip’ during rewind. This patented, maintenance-free non-belt/chain direct drive system ensures a controlled speed during rewind to reduce hose handling injuries. It’s perfect for refuelling, evacuation, grease and oil, coolant, firefighting and washdown. For Pit Bull spring hose reels, you can add Safe-R-Reel in full stainless steel that is chemically resistant, robust, durable and offers a high level of safety. An increasingly important industry focus is improving safety while minimising downtime. 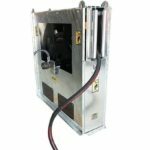 Flat Winder — an easy-to-use automatic layering hose storage solution; and Follow Me Hose Guide — the flexible swivelling hose guide — are other add-on options to reduce injuries, hose damage and hose jam; and improve productivity. For information about custom solutions, contact Reel Tech. Phone: +61 3 9583 2368 or email sales@reeltech.com.au.